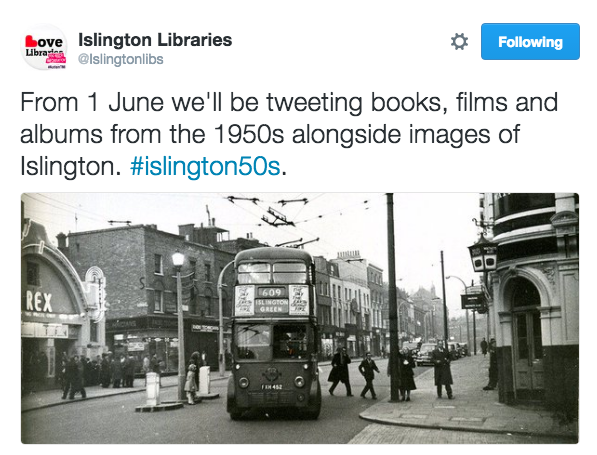 I noticed the #islington50s Twitter campaign quite by chance, and asked the team behind it to tell us more. Their response which follows shows how something that started in a relatively small way can capture people’s attention and develop into something much bigger. Thanks to Tony Brown for sharing details about the campaign and sending us many of the images used. “We have been using the campaign to draw awareness of the range of offers available from Islington Libraries. #islington50s starts with an image of somewhere in the borough in the 1950s. 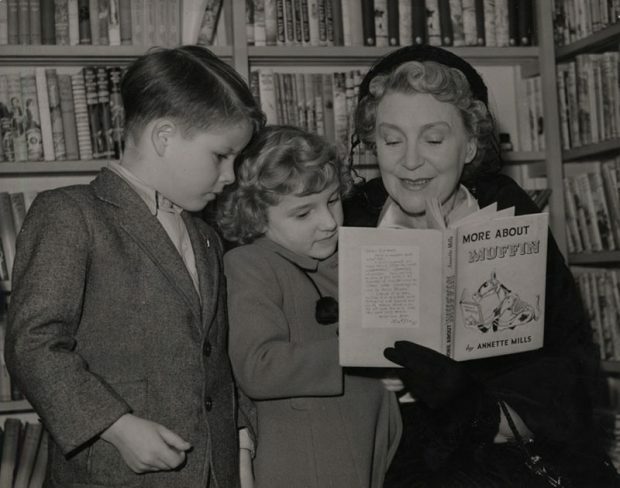 It’s then followed by a book recommendation, music album recommendation and then a film recommendation all from the 1950s. 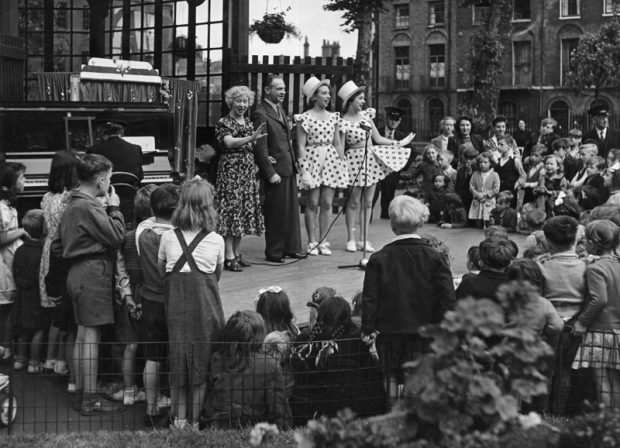 Finally we finish off with another local image from the ‘50s. The book, music and film recommendations were available from two libraries alongside a booklist. The images are all available from our Local History centre. We started off #islington50s on 1 July and there were 5 tweets every day using this hashtag for the month. Books included: Gerald Durrell’s My Family and other Animals, Elizabeth David’s Book of Mediterranean Food, Isaac Asimov’s Foundation - the first in the famous sci-fi series - and Raymond Chandler’s The Long Goodbye. Music came from the likes of Dave Brubeck and Miles Davis, Buddy Holly, Little Richard, Frank Sinatra and Elvis. And popular films included: Ben-Hur, From Here to Eternity, Lavender Hill Mob and On the Waterfront. 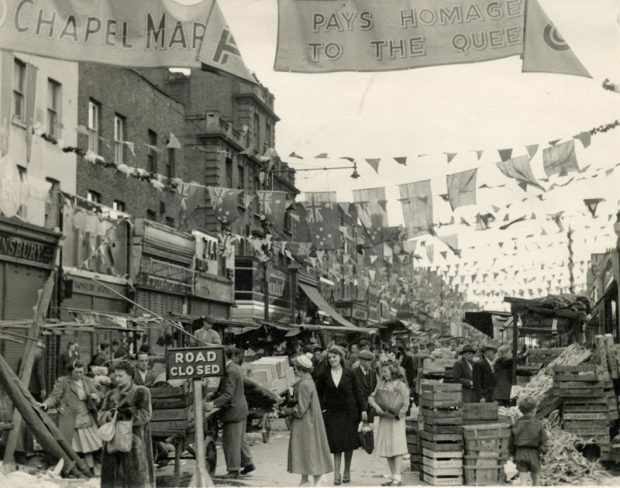 All were interspersed with photos of Islington discovered in the local history collection: from noteworthy events such as street parties to celebrate the coronation, to parties in the open air which illustrate the fashions of the era. Total reach on Twitter to date stands at 2.3 million. 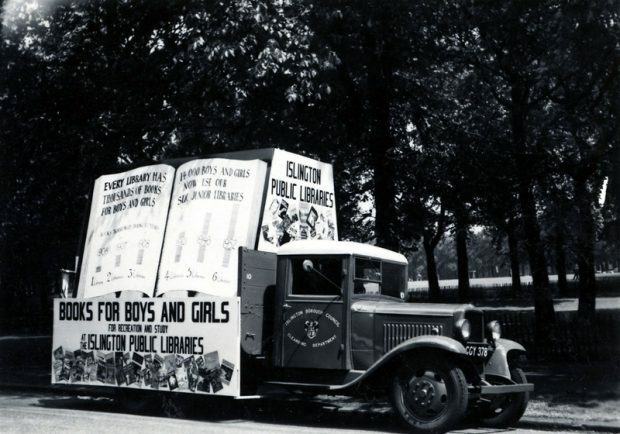 Materials publicised or mentioned via the promotions were available in Islington libraries but were exhausted within days, and the Local History centre has seen a spike in enquiries. It also led to some residents sharing their 1950s images of the borough including one of the borough’s significant churches. 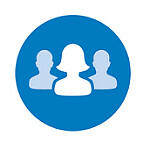 We also gained around 100 additional followers on Twitter. Councillors became involved retweeting and favouriting. Local film clubs, theatres, pubs, architects and creative industries followed us as a result. 91.3% were all positive messages. Social media marks a real shift in the way we reach out to our communities compared to the days when we drove this truck around! 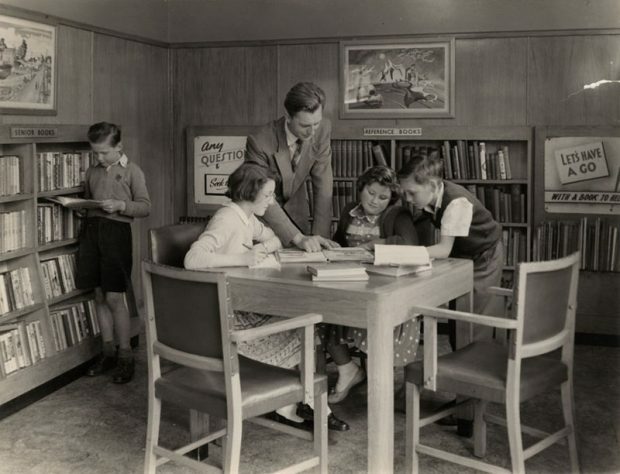 I for one hope they continue the campaign right up to the present day, to illustrate how Islington and its libraries have evolved. From scenes like these below to the modern colourful spaces members enjoy now. To follow this campaign, search for one of the hashtags: #Islington50s, #Islington60s, or #Islington70s or follow @Islingtonlibs on twitter.